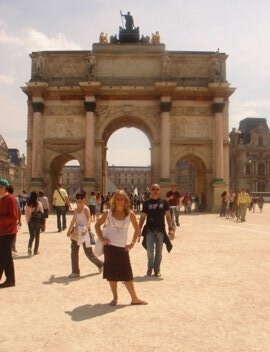 I’ve always had a strong interest in Paris and in French culture. I also have a passion for international topics. My university majors were international studies and French. How much the experience opened me up to new ways of life. 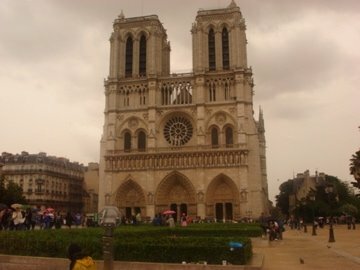 I had never been overseas before this trip, so I was opened up to the history and culture of Europe and France. I mainly financed my trip through a supplemental student loan. Paris is an expensive city. To stay on track and not go over the amount I had from the loan, I chose the homestay option. This allowed me to save money on food, as meals cooked by host families were included in the price of the program; whereas, choosing to live in my own apartment while in Paris would have resulted in me having to buy my own food the entire program on top of the program price. In Paris, the most important thing was making the effort to speak French instead of English. Most Parisians speak English and will speak English in return if you attempt to speak French to them. I constantly had to ask them to please speak French to me, as I was trying to improve my French language skills. As for the language portion of being abroad, I found that the homestay portion was imperative to improving my French. My host parents did not speak English, so this forced me to use my French skills. The students who stayed in the apartment for our program spoke English with one another and when they were out in the city. For them, it really was just like being on campus and using the language for only a few hours in class. I would recommend for students that are studying in an area where English is spoken to challenge and force themselves to use only the language they are learning. The ease and space of America. Everything is a challenge when you are somewhere new that you've never been before – but an exciting challenge. I missed air conditioning, dishwashers and dryers. I missed not having to pay to use a public restroom. When I was out exploring the city, it was more difficult than in the States to find a public place to use a restroom. 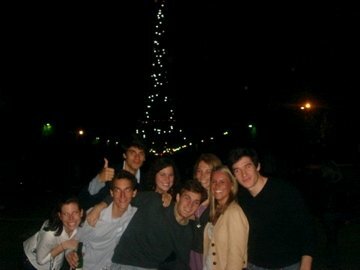 Studying abroad is the best choice I ever made while in college. I would encourage anyone who is considering study abroad to do so. After I returned, I adopted what I call the travel bug and cannot wait to get out and explore more of this wonderful world we live in. My future plans for my career include continuing to grow in charitable health organizations. My international experiences have opened my eyes to disparities throughout the world and the need for access to satisfactory medical care in low-income communities and regions, both within the US and worldwide. I also plan to continue traveling and seeing as much of the world as possible! Heather’s profile demonstrates that she’s willing to do what it takes to get the most out of any experience abroad. She now seems to have fairly well-defined professional goals and she is aiming for a career in the non-profit sector. We would recommend that Heather consider going abroad on an internship or volunteer term for three months or more with an NGO in South America, South Asia or Africa. Keep in mind that to increase the amount of hands-on experience, going abroad with a smaller NGO or other organization often allows the participant to take on a higher level of responsibility – and therefore learn more about the administration and management of field programs. Nowadays a master’s degree is almost essential for any high-level work within the non-profit sector. If Heather decides to pursue a master’s we’d suggest she consider doing so abroad, or applying to programs that allow her to build in an international component. NGOs and Their Work Abroad, Positions in International Development and Finding a Job With an NGO are three articles that will give you a broad sense of whether working with an NGO abroad might be an appropriate next step. All NGOs is a searchable list of thousands of NGOs, including almost 500 US-based NGOs, many of which send Americans overseas or field work.